The guys over at Hidden Pineapple have been busy bees lately. 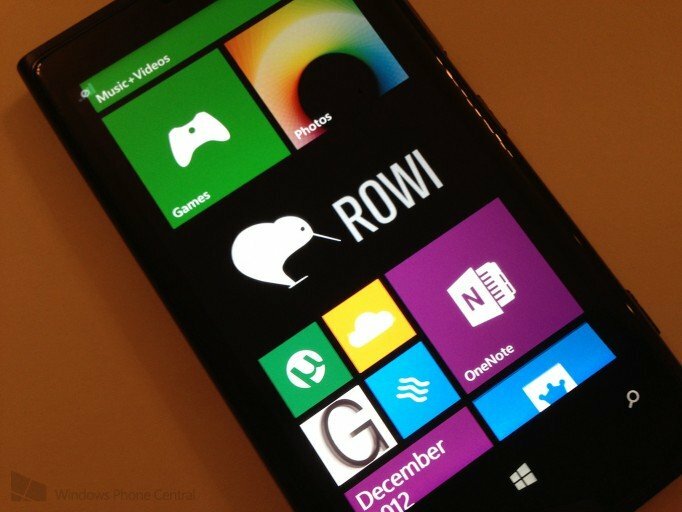 They’re the team behind popular Twitter client Rowi on both Windows Phone and Windows 8. Today they showed off some new features for the Windows Phone version of Rowi as well as a future app they’re developing. Twitter hasn’t been the friendliest toward the developer community surrounding it. Tweetro (among others) was hit hard a few months back because of changes Twitter made with their policies. By updating to version 1.1 of the Twitter API Rowi will be losing a few features. While not the first Twitter application on Windows Phone to have instant push notifications, Rowi claims they’ll have the best experience for Live Tile notifications on any Twitter app for Windows Phone. In addition we have a streaming mode in the next version. You can now toggle on and off a mode where your Twitter feed will refresh in real time right before your eyes! There are two videos embedded below showing off both instant push notifications and the streaming mode. In addition to a fairly big update coming to Rowi for Windows Phone. They’re also building an App.net application based around Rowi. They’re currently in the “beyond early” stage of development, but hope to have a similar look and feel for their App.net application as they do for Rowi/Twitter. Additionalty they are giving out 100 invites to App.net, so if you’re interested in joining the anti-Twitter Twitter, hit up the source below.